Are you one of the many residents without central air conditioning in the Cutler Bay, FL area? You may have found other ways to cool down the house, like a room AC unit that doesn’t require ducts to run. However, most of these solutions are inefficient and undesirable. If you are missing the duct system required for standard central AC, we have a solution. 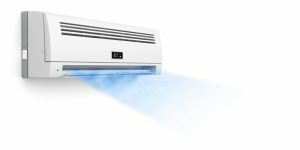 Ductless air conditioning is unlike any cooling system you’ve tried. Find out what makes a ductless mini-split cooling system different below, and call our team for more information. 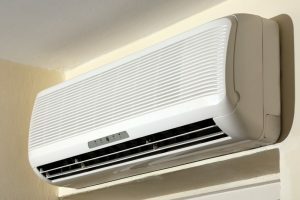 Posted in Air Conditioning | Comments Off on What Really Makes a Ductless Mini Split Different? One of the most common ways homeowners cool down the rooms of their homes is with window AC units, but this is also the reasons that so many homeowners are so uncomfortable in the summer. These big, bulky units just don’t do the trick in the same way that central AC systems do. That’s why, before the heat gets more severe, we’re urging homeowners to get rid of their window ACs and upgrade to ductless units. Many homeowners without a central duct system rely on clunky window units that sit in the windowsill and block your view. It’s difficult to open a window if you want some fresh air, and these units are very inefficient and not as effective as central AC at cooling down an entire room. Thankfully, this is not the only system available to homeowners without ductwork. A professionally installed ductless AC system with an outdoor unit and multiple indoor blower units is one of the best solutions for homeowners without any central system, and it is well worth the cost and the time for installation. Here’s why we think it’s time for you to make the upgrade. Proper sizing of your Miami air conditioning system is one of the most important factors affecting its operation. A system that is too small won’t be able to keep up, while one that is too large can lead to short cycling and excess humidity. To start with, you need to know the area in square feet of each room room that will be cooled by the ductless system. To do this, measure the length and width of each room. For some oddly shaped rooms, you may need to divide it up into two or more rectangles and then add the square footage of each rectangle together to get the total area of the room. Exclude closets from your calculations. For each room, convert the area you just calculated into how much energy will be needed to cool them, which we measure in British Thermal Units (BTUs). As a rule of thumb, multiplying square footage by 25 will yield the approximate number of BTUs needed for that space. So, a 200 square foot room needs about 5000 BTUs for proper cooling. There are other factors aside from square footage that determine a particular room’s heating needs. These variables include the local climate, the number of people usually in the room at one time, the number of appliances operating in that room and how well the room is insulated. A good general rule is to add 4,000 BTUs to the total for a kitchen and 1,000 for a bathroom. Once you have the BTUs for each room, add them all up to find the whole house BTUs, which is generally how split systems are rated and labeled. Keep in mind that this only yields an estimate, and that there are plenty of variables to consider when sizing an AC system. Hiring a Miami AC professional to do a load calculation is the best way to get an accurate assessment of your home’s cooling needs. Call Air On Demand today if you are interested in having a ductless system installed in your home!